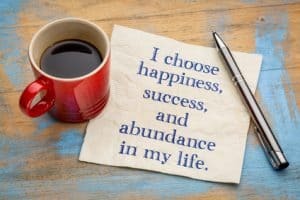 Retire With Abundance - Can I Retire Yet? The following is an interview with ESI from ESI Money, a blog about achieving financial independence through earning, saving, and investing (ESI). It’s written by an early 50’s retiree who achieved financial independence, shares what’s worked for him, and details how others can implement those successes in their lives. He is also the author of a free ebook titled Three Steps to Financial Independence and spends a lot of his time interviewing millionaires. He’s also the owner of Rockstar Finance, the leading curation site for the best personal finance articles. 1.) I frequently write about “redefining retirement“. On ESI Money you write that you retired from a corporate career at 52. But you also write about owning 14 rental real estate units. You’ve developed a successful blog, and recently acquired another online business with Rockstar Finance. It sounds like you continue to work a good bit and are continuing to earn income. How do you define retirement? I define it as the freedom to do what you want. Back in the day retirement was generally accepted to mean 1) you quit work and 2) you indulged in leisure activities like golf, bowling, traveling, and so forth until you eventually died. Whatever you call it, I don’t work for an employer and spend all my free time on what I want — some of those things being investing and running a couple websites and some of them being more leisurely like traveling, reading, and the like. 2.) How much of a role did your active investments in real estate and developing online businesses contribute to your ability to retire early vs saving and investing in stocks and bonds? Did you change your investment style after retirement? I have a post coming up using Quicken data to determine when I became financially independent. I didn’t retire until I was 52, but I was actually financially independent a decade before that. (This assumes the value of my passive investments (index funds) at the time, using the 4% withdrawal rule, and knowing what my spending was.) This was before I invested in real estate or businesses. Then once I bought my properties, I was at the point where I was not only financially independent but that I could quit working and live off the income from the properties alone, not needing to spend a penny of my assets/investments. After that came the websites, which simply piled on the income. So to answer your question, my active investments didn’t contribute at all to my ability to retire early — that was all accomplished by my passive investing. The active investments simply allowed me to go over-the-top income-wise. I did not change my investment style after retirement other than I stopped investing in index funds. I am simply letting them ride for the rest of my life. They should be worth a tidy sum after another couple decades of growth. 3.) Describe a typical day/week/month in your retired life. How much time (on average) do you spend managing your real estate portfolio? How much time (on average) do you spend on your web based businesses? I get up at 5:30 am and have a glass of water and a cup of coffee. I check my websites, read a bit, promote some articles, and network. I walk to the gym about 7 am (which puts me in the locker room right before the people who have to be at work at 8 am flood it) and work out for the next hour. I also hit the hot tub or sauna for 15 minutes or so and read. I then shower and walk home, which usually puts me home by about 9 am or so. I eat breakfast and check email for a bit. At 10 am my wife gets home from the gym and we take a 30-minute walk. Once we get back home I “work” from 11 am until about 3 pm or so. This time includes everything from actually working on website stuff to updating my personal finances to reading Facebook. We then generally take another walk, eat supper (usually around 4 pm or 5 pm), and watch a movie or something in the evening. There’s a lot of flexibility built into the day so any given day can vary from this schedule quite a bit. 4.) What are the biggest positives (financial, personal, social, etc) of your active portfolio of real estate and online businesses? What are the drawbacks and limitations to investing in this way as opposed to a passive stock/bond portfolio? The biggest positives are that they churn off a lot of cash relative to the investment of time and money. They can also be run from anywhere in the world as long as I have an internet connection. We recently spent nine days in Grand Cayman and I could have done everything I do at home business-wise from our condo if I had wanted/needed to. The drawbacks are that active investments do require some time and are riskier, but since I enjoy the work and can manage the risk, these are negligible concerns. Passive investments require very little time/effort/monitoring and offer growth over time, but not much income. 5.) Do you desire and are you planning for a more traditional retirement characterized by stopping paid work in the future? If so, at what age and why? If not, why not? I don’t think I desire it — otherwise I would be doing it now. I enjoy the website tasks so they don’t seem like work. Plus there’s only so much TV you can watch. I heard someone say once that if you’re retiring “from” something (like work), your retirement will probably not be successful. But if you’re retiring “to” something (that you enjoy), you will probably be fine. I retired to doing things I enjoy and some of those just happen to generate income! It’s a win-win! I’ll also note that I’m a big believer in the use-it-or-lose-it line of thinking. Being part of active businesses helps to keep me sharp and make sure my mind doesn’t turn to mush over time. I don’t ever see myself stopping all work and just laying around the house like a big blob. Even fun activities like traveling, entertainment, and the like can only take up so much of your time before they get old. 6.) What is the best part of retiring in your early 50’s? Have there been any unanticipated downsides or challenges you’ve encountered in early retirement? The best part is that you’re still young enough to do most of the things you want to do, which has been awesome. There really haven’t been any downsides or challenges. It’s all been pretty good. But I missed those 10 years of freedom and really wish I had them back. 7.) Anything else you would like to share with our readers? My only advice is that once you reach financial independence (and have enough margins of safety that you feel you won’t have to worry about money ever again), retire right away if you want. Sure, if you enjoy your work, it’s fine to keep at it. But if you don’t enjoy your work (which characterizes most of the population), my advice would be to move on as soon as possible and begin doing things you like/enjoy. Many of us planning early retirement enjoy and are good at earning, saving, and investing money. We also tend to be naturally frugal. This formula enables early retirement. Still, many work longer than necessary in jobs we don’t enjoy, because we get trapped in fear and comfort. Note that ESI Money’s biggest mistake was working a decade longer than necessary. Traditional retirement, defined as completely stopping paid work and drawing down investments, is a complete 180° from the abundance mindset and high savings rate that enables financial independence at a young age. It means we stop earning, saving, and adding to our investments, the exact things that we tend to be good at, enjoy, and which enable early retirement. Redefining retirement to allow some paid work or alternative investments opens a multitude of possibilities. It allows you to build a lifestyle that you desire, live with abundance, and leave the rat race sooner than you may otherwise be comfortable. Thanks to ESI Money for taking the time to answer these questions and share an example of how you can live with abundance as an early retiree, overcoming the fundamental problem with retirement planning. Learn from his successes, and his mistakes, to build your own plan to retire sooner. Thanks for the interview Chris, very inspiring….. I would like to know how he is managing his health insurance. My husband and I believe we can retire at 60 but the health insurance environment is unsettling. What is his strategy for health coverage? Thank you. +1 on investing in income producing real estate however it takes a decade or two to realize decent income if you dont make large down payments. And unless you live/ buy in a high demand, and therefore more expensive area, higher vacancy rates can be unnerving. Finally, I think most people wouldn’t feel comfortable buying in a distant city; if you do you need to look at it as a passive investment. I own in San Diego, where I liveand maintain the property myself, and owned in Alabama. I sold Alabama after 12 years and paid off San Diego. That move was the final piece of funding my retirement. A paid off building 18 years after I bought it that returns an after tax return of 7% on the value of the building. You highlight some of the challenges of RE investing, which is why it is an apples to oranges comparison to passive paper investments. Each have unique risks, rewards, and require different amounts of effort. Those that are willing to apply the effort and take the risks can therefore get outsized rewards with RE. If you can develop systems to manage your portfolio in a way that matches your lifestyle, this approach can make a lot of sense. 9 out of 10 businesses fail even with applying effort and taking risks. For every success story there are a lot of failure stories involving smart, motivated people. Sorry, but this article reads like an indirect sales pitch. What’s being sold? ESI says flat out in the interview that investing in your own business involves more risk and effort than passive paper investments, but in exchange they offer more upside reward as well. The thing about starting a business after you have enough or close to enough in passive investments to be FI, is that if you don’t use debt there is little to no financial risk in starting a side business. The only things you’re risking is wasting your time. Any additional income is a bonus which allows the abundance mindset. Mark, I’m pretty sure the 9 out of 10 businesses quote wasn’t talking about real estate businesses. And online businesses have a relatively small financial risk typically if they do fail. The only idea I saw “sold” was that you can use multiple sources of wealth building and income to put together a stable retirement. Sounds reasonable to me. This is the #1 question I get from people wanting to retire early. Like LMJ, I would also like to understand what is being done about health insurance. Any chance we can get a follow up on this? Unsettling is the key word especially if you have a pre existing condition. The ACA was key for me and I will still sweat it out for another six years until eligible for Medicare. And I have accepted that I may have to pay $15 to $20,000 per year for my wife and I for a few of those years. Correct me if I’m wrong. If I am not religious and I have a pre existing condition, a health sharing ministry is not an option. Agree with this. I also believe that they have different policies on pre-existing conditions, when those conditions “expire”, etc. Nice article. I was particularly drawn to the statement about wishing you had made the decision to leave corporate work 10 years before you did. I personally had a brief period without work due to a reorg (RIF) but was quickly brought back into the same company…but being cast aside at 49 definitely changed my perspective. In the 6 weeks I was out of work I had a lot of time to look at our financial situation and I seriously considered not going back to work. What changed my mind was health insurance. Being type 1 diabetic, prescription costs are over $10k a year not including regular HC premiums. My corp job has amazing insurance, HSA partially funded and almost all prescriptions covered at no cost so I went back, but Im now rethinking that decision. But I do need to get a much better handle on the impact of HC on my overall budget. It’s the 1 wildcard I don’t feel like I have a good handle on. I will review the posts referenced above…. He hit him with the “retirement police” question right off the bat 🙂 Good answer too. I read a lot of these types of articles, most are very informative and have many very good ideas. The thing I keep coming up against is that (arguably) #1 expense for couples in their 20’s, 30’s and 40’s: children. In the daily activity list there’s no mention of kid-dropoff / kid-pickup, kid activities, etc. Were there kids in this situation anywhere? I’m not taking away from the accomplishment, not at all — it’s an amazing feat regardless. But I would like to understand how others handle such tradeoffs when kids are involved. Of course, we all realize there’s no one-way to raise kids — some choose to provide vast (translated “expensive”) experiences for their kids. Some invest in 529’s (we do), but not at the expense of our retirement plans. Some families are deep into kid-sports requiring massive investment (one local hockey club dues were a cool $25k / year!). There’s many others such as gymnastics, band, dance teams, teen driver’s insurance, wow — the list is long. Yeah, most of those are by choice in the end, but can also be incredibly rewarding for the entire family. I can see early retirement once the kids are own their own, either in college or close to graduation — those scenarios make sense. Darrow’s a great example. But aside from having a hefty inheritance (or promise of one), to achieve financial independence in the early 40’s where teens / college-age kids are involved — that’s likely rare, right?. True, False, Grey-area? Perhaps there other resources where kids are discussed alongside FI — just seems that’s missing in many of these success stories. This is where everything is about personal choices and preferences. My wife and I have only one child, and she is starting Kindergarten in the fall. To me having the year before she starts school with her is priceless. It’s been an opportunity that few parents have. Prior to leaving my job on Dec 1, I didn’t see her in the AM (wife got her ready and handed her off to me on the way out the door to drop at daycare) and we got home at 5:30 or later, ate, showered, and put her to bed with maybe 1-2 hours to spend any decent time with her on a good night where everything went well. Since quitting my job, we eat all our meals as a family. All winter and spring, we skied with her a couple times a week, went to the library regularly, and were able to be active with her pre-school. Now that pre-school is done, we spend several hours a day reading with her, swimming, playing games, riding bikes, etc. I wouldn’t trade it for any amount of money. This is the reason I like a story like ESI and asked him to share it. There are many gray areas with retirement planning, but many people get hung up following black & white rules that don’t actually exist. Agree that traditional retirement doesn’t make much sense for me if I am sitting around the house all day worrying about the markets that I can’t control while being unproductive every day while kid is in school. But having a level of financial independence that gives my wife and I incredible freedom with our time and then doing some work or active investing, such as real estate or working on this blog in our down time, where I can add value and get better cash flow and returns than I could on passive investments makes a lot of sense to me, even if it means I’m “not really retired” as some will criticize. You need to decide what makes sense for you and your family, which is what I was hoping to get across with this interview and the questions I asked ESI specifically, and my theme across my writing in general. Great post! It is always inspiring to hear from people that are already retired and have been successful at it. His “typical day” sounds like an awesome day to me! One of the things I am looking forward to most in retirement is taking care of my body and health, and it definitely sounds like he is doing that. Agree. His day sounds pretty similar to mine. Get up early, get most important things done (workout, stretch, meditate), eat breakfast with my daughter, do a couple of hours of work and then have the rest of the day free to do whatever. It’s a realistic lifestyle, but many will criticize it as “not really retired” which is why I asked the first question. What I found interesting and didn’t know about him until he answered my questions is that he essentially achieved FI two times (paper assets and real estate), but still pursues active income b/c it allows for the feeling of abundance and keeps his mind sharp. Wise IMHO.